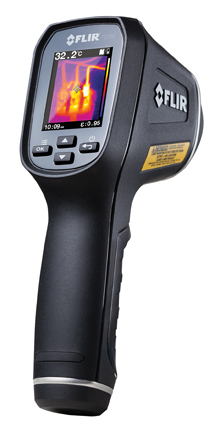 FLIR Systems, Inc. recently announced the release of its TG165 Imaging IR Thermometer, a powerful, affordable, compact tool that lets you see invisible heat patterns, measure temperatures accurately, and conveniently store images and measurement data for reporting. Built around FLIR’s exclusive Lepton micro thermal imaging camera core, the TG165’s thermal imaging technology provides users the ability to see where problems exist prior to measuring the severity of the problem with its built-in spot temperature capability. Fast and easy to use, the TG165 lets users get right to work with an intuitive point and shoot capability. Its dual rotating lasers visually mark the size and location of what is being measured, while the on-screen crosshair pinpoints the region on the thermal image. The TG165 is designed to withstand a two-meter drop, making it rugged enough for industrial professionals while offering the simplicity valued by do-it-yourself homeowners. The TG165 is priced at $499 and is available at popular industrial test equipment retailers in markets around the world. For more information, please visit www.flir.com/tg165. 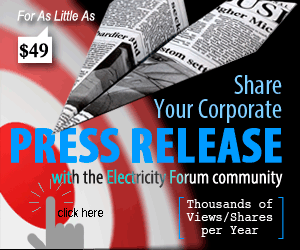 Company : FLIR Systems Ltd.